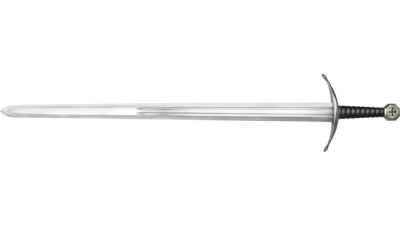 These European styled display swords are an excellent economical solution for decorating your home. 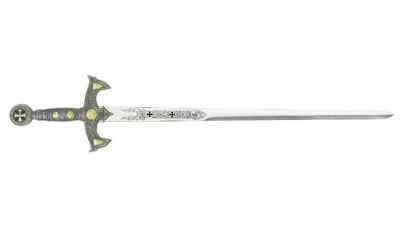 They range in many styles from Excalibur to the Roman Gladius. 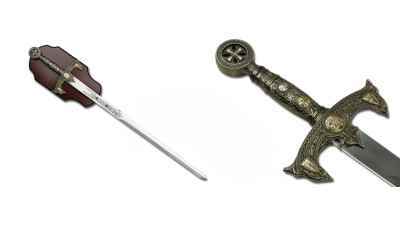 Whether your interest lies in the swords of the Medieval era, Pirate cutlass's, Renaissance Rapiers or the Musketeers there are several great exciting centerpiece's for your home. This classic medieval sword design measures approx. 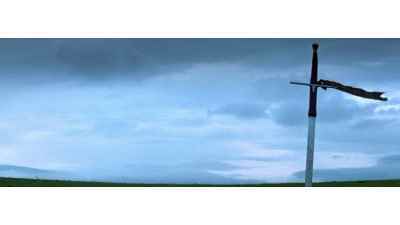 Excalibur is by far the most famous sword in the world! 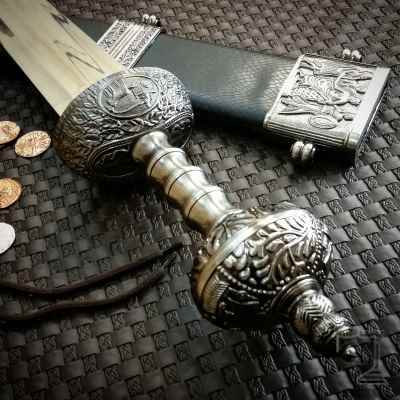 This decorative medieval sword is loaded with detail form the pommel to the guard as well as bronze accented scabbard. King Solomon was the second son of Uria's wife , Betsabe , whom his father, King David , had married after orchestrating his death. 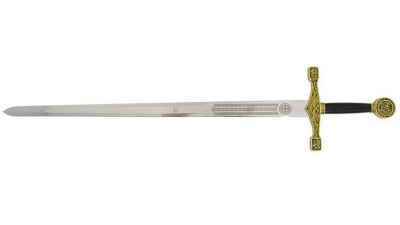 Decorative European display swords are swords that are inspired by various historical European cultures. 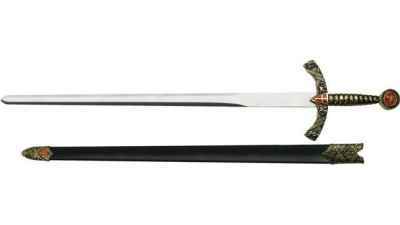 These display swords make fascinating show pieces in your home or office. 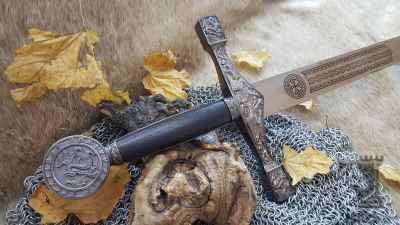 A decorative European sword is recognized as the medieval sword used by the knights of the round table. 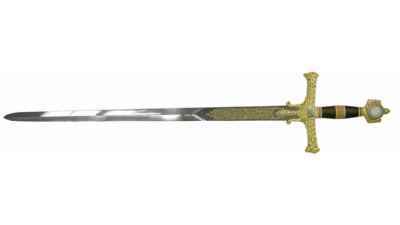 This genre of sword also includes roman swords, decorative pirate swords as well as display pieces from the historical crusades. Can you use a European Display Sword? 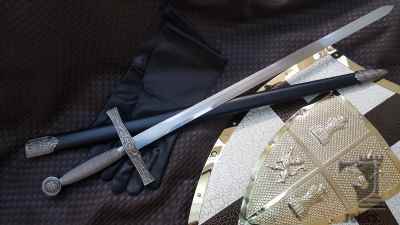 These decorative medieval and European inspired display swords are not made for use. Though these swords look real and have real blades, they are not produced the same as our "Functional European Swords". Decorative swords are not constructed properly for any type of use. This includes cutting, sword demonstration or any vigorous stop and start movements. Each piece in this class of sword has been reviewed and has not met the criteria of a functional sword. This doesn't mean that they are not good swords. They look great on the wall and are easy to maintain. 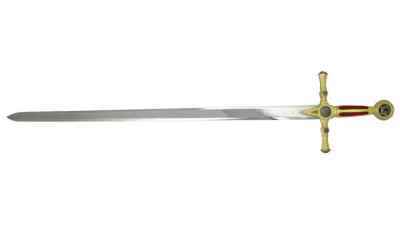 Decorative European swords are excellent collectors items, but if you need a sword for practice or use, you should have a look in our "functional swords" sections of our website.